Don't Ask About My Scar. 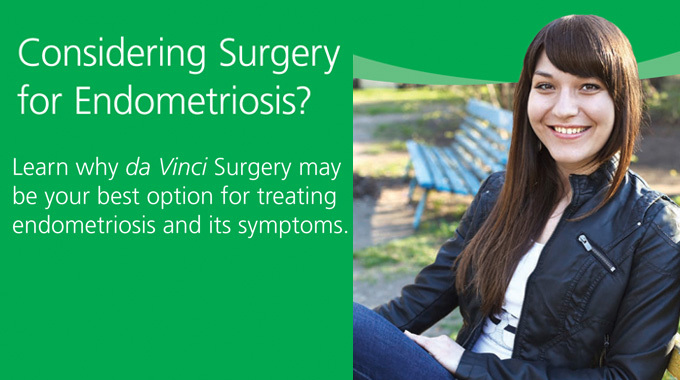 East Norriton Women’s Health Care is pleased to offer surgical services to patients when the need arises. Our physicians offer expertise in state-of-the-art surgical procedures for a variety of obstetric and gynecological issues. When surgery becomes the best course of action, we undertake comprehensive gynecologic evaluations. Our physicians will then discuss with you all the issues at hand, always giving you the opportunity to take a primary role in deciding your best treatment choices. 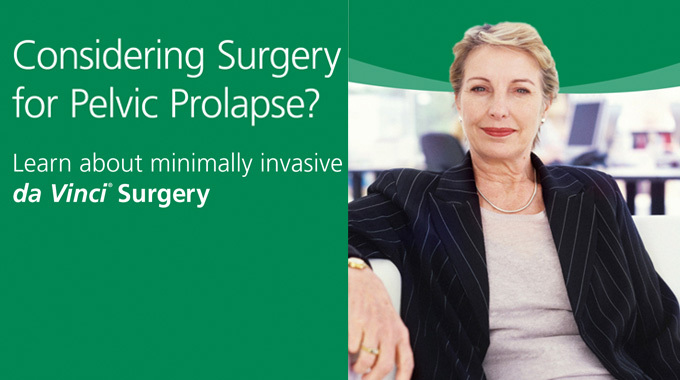 When a definitive surgical therapy is chosen, our gynecologists prefer minimally invasive surgical options. During our 20+ years serving East Norriton, our practice has established valuable affiliations with excelling hospitals for out-of-office procedures. These include: Einstein Montgomery Surgery Center and Einstein Medical Center Montgomery. 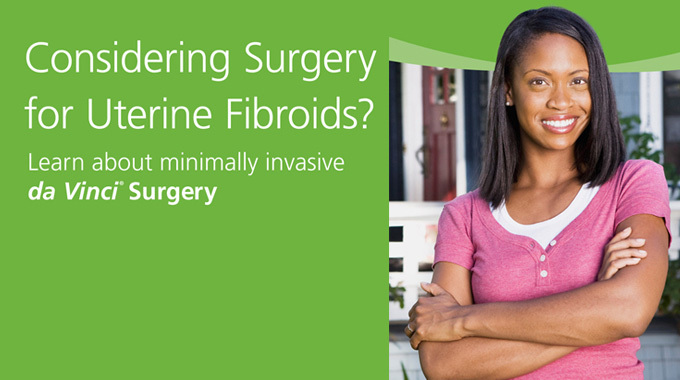 We are happy to provide women an option to traditional surgeries utilizing the robotic system. Robotic laparoscopic surgery allows women to have operative procedures performed with the most minimally invasive technologies. The Da Vinci system can be utilized for most gynecologic surgeries for treatment of uterine fibroids, excessive uterine bleeding, endometriosis, uterine an bladder prolapses and cancers of uterus, ovaries and cervix. With the da Vinci System, surgeons operate through one small incision in the belly button or through a few small incisions instead of a large open incision (similar to traditional laparoscopy). 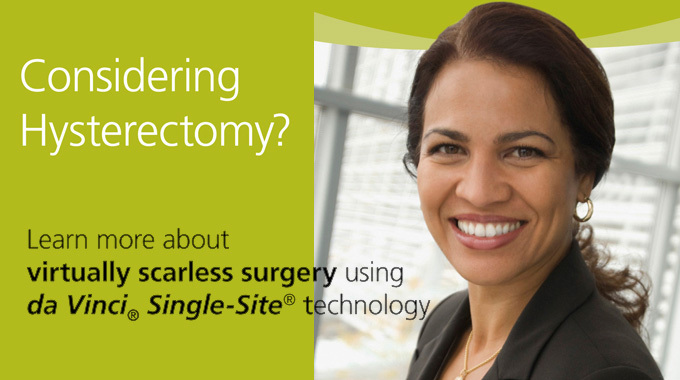 Patients who choose da Vinci® Single-Site Surgery experience virtually scarless results, similar to single incision traditional laparoscopy. Dr. Giuffrida is a leader in Robotic Surgery. He is the only da Vinci Single Site Surgeon in Montgomery County and One of Only Three in the Philadelphia Area. Not all surgeons are alike. Dr Giuffrida and Dr. Sansone have been utilizing the da vinci system for over 6 years and have attained a high level of expertise, performing over 400 robotic surgical procedures. This level of expertise allows them to perform complex surgical procedures with great confidence. Dr. Sansone and Dr. Giuffrida are leaders in Robotic Surgery. Dr. Sansone serves as Director of Gynecologic Robotic Surgery at Mercy Suburban Hospital and Dr.Giuffrida is a surgical proctor for Intuitive surgical, the makers of the da vinci robot, and has proctored many gynecologic surgeons in our area. In addition, he is also the only da Vinci Single Site Surgeon in Montgomery County. I am writing this to let you know how thrilled I am with my recent surgery. All of your employees have been so helpful and nice to me. I came through the surgery Dr. Giuffrida performed with almost no pain.The surgery was so none invasive, my recovery is a snap. I feel so good, I have to be careful not to overdue! I can’t tell you how happy I am with my recovery.